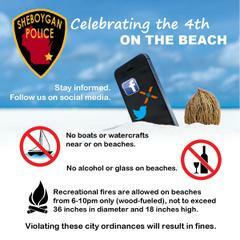 July 4th Reminder: No alcohol/glass on beaches. Bonfires 6-10p. No larger than 36"dia,18" high. No boats near beaches.